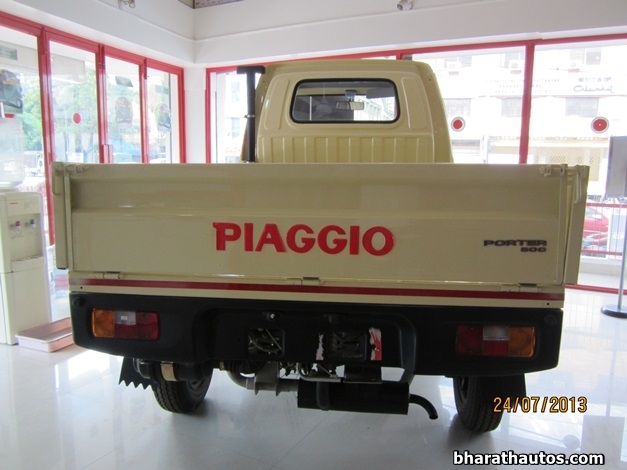 In Bangalore couple of week earlier, when I was riding near the Piaggio dealership I saw a Piaggio Porter parked outside, at first glimpse I thought it could be the test mule. 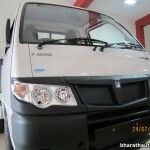 Later, only after I enquired at the salesperson I came to know the Piaggio Porter is already launched in Bangalore couple of months ago, in a phased manner in some parts of South India like Bangalore, Chennai, Hyderabad and will be introduced in all other major markets over a period. 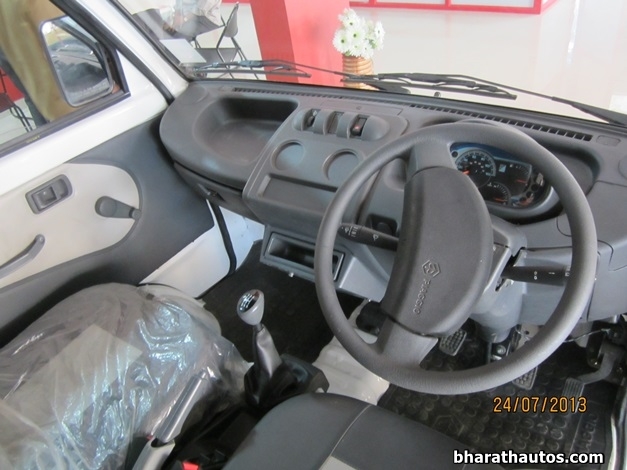 Piaggio India has silently launched the Porter 1000 and Porter 600 couple of months ago, the company also seems to have quietly removed the Ape Truk Plus and the Ape mini from their website, and replaced the same with new models. 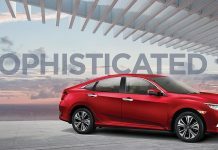 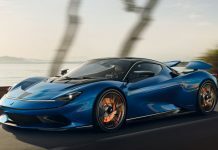 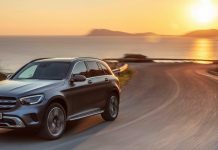 The company has not officially stated anything in this regard about discontinuing the old models or replacement with the new models. 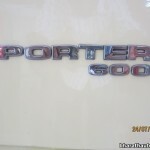 No much detail available online about the new Porter 1000 and Porter 600. 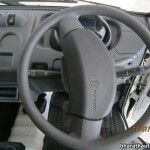 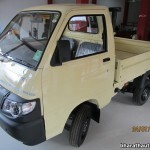 Piaggio Porter 600 is replacement for the 0.5 tonne Ape Mini truck that was launched wayback in October-2010. 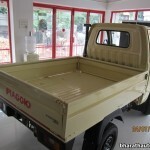 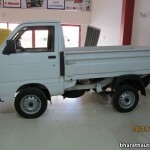 Previously, the 500 kg capacity Ape Mini truck hasn’t done well in the Indian pick-up truck market. 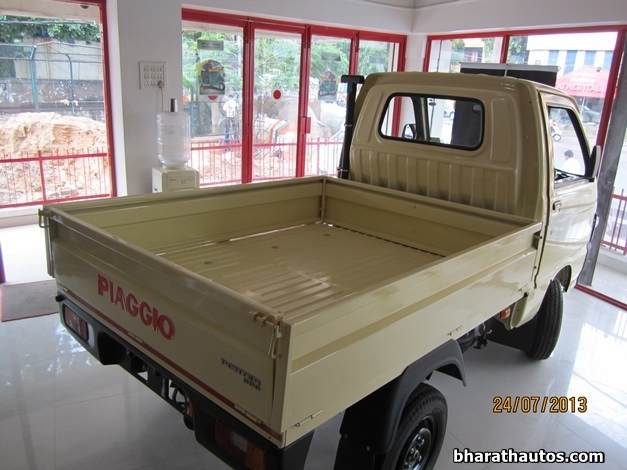 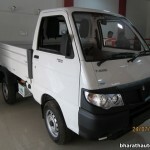 Therefore, Piaggio India replaced the Ape Mini truck with the Porter 600 with a rated payload of 600 kg. 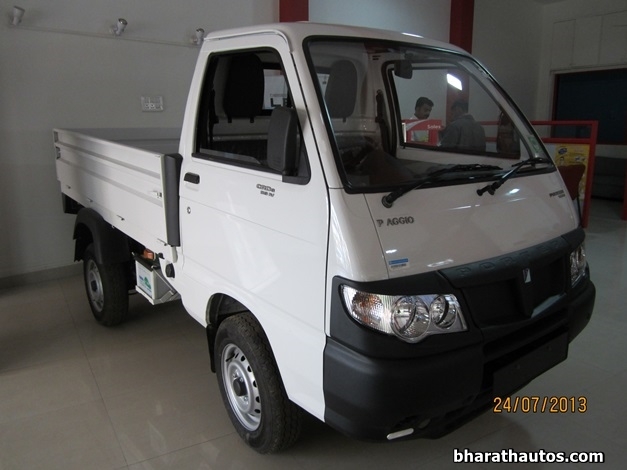 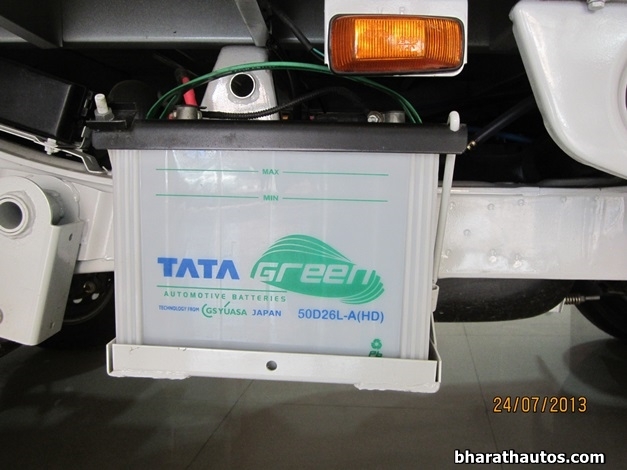 With the 600 Kg payload, the Porter 600 directly takes on the likes of Tata Ace Zip. 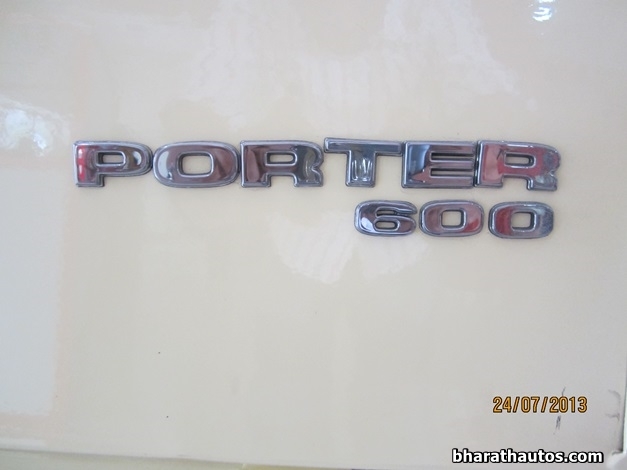 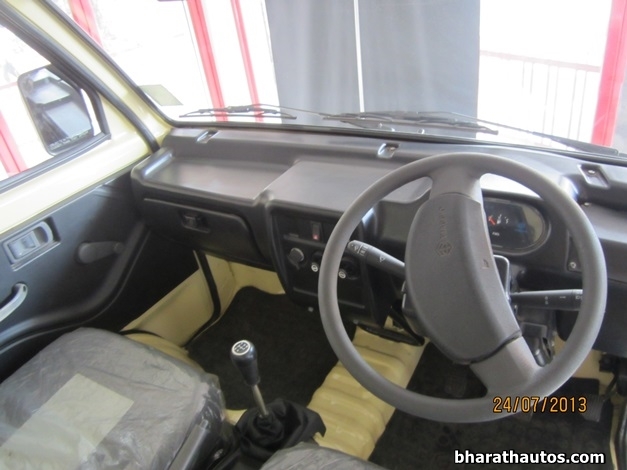 The Porter 600 comes fitted with 511cc single cylinder diesel engine mated to 4-speed manual gearbox. 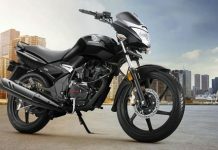 With a bigger loading area and higher ground clearance, it boasts of a mileage of 22 kmpl (Not ARAI certified) and a top speed of 60 Kmph. 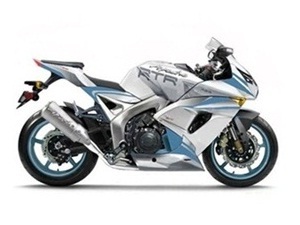 This engine outputs 10 Bhp of peak power and 27 Nm of peak torque. 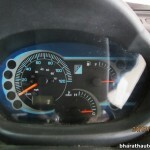 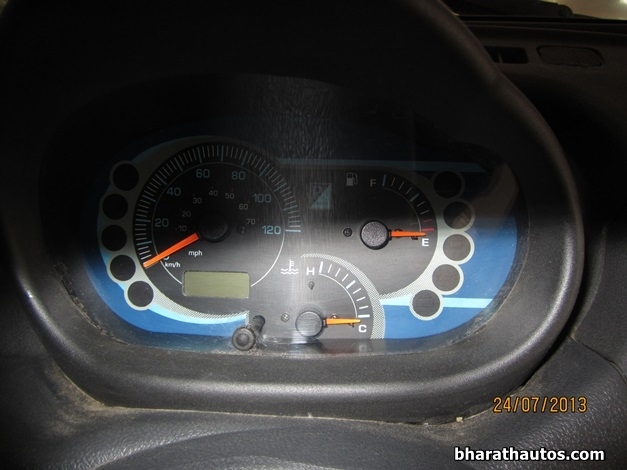 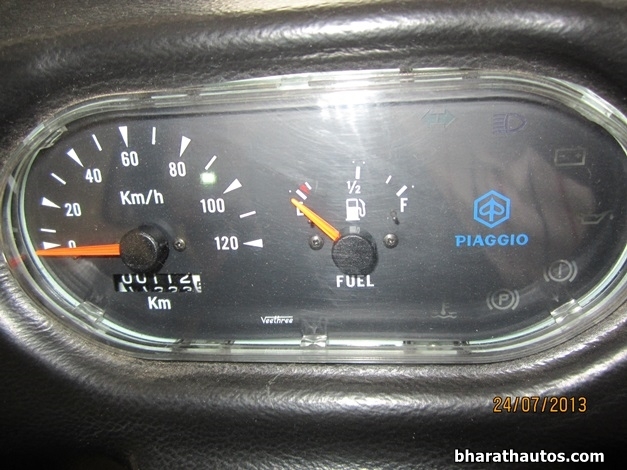 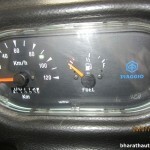 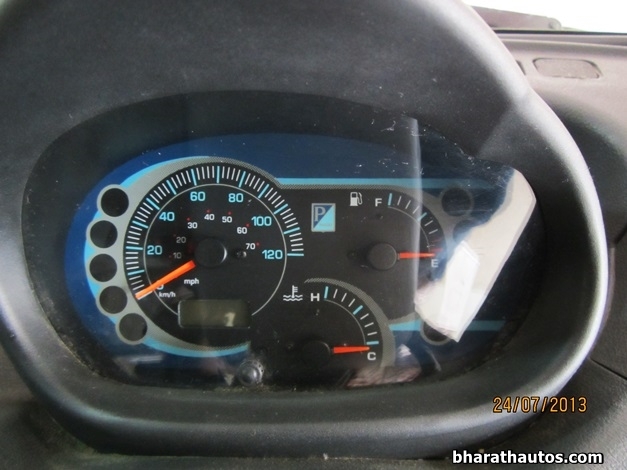 These figures are lower than what the Tata Ace Zip’s diesel engine (11 Bhp-31 Nm) outputs. 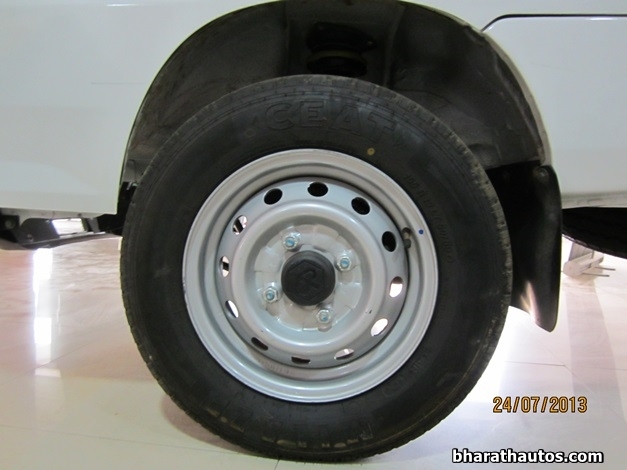 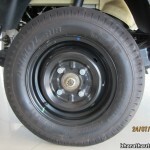 Features both drum brakes at front and rear. 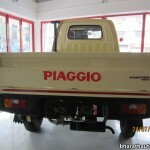 The total of 3 shades is available on Piaggio Porter 600 – Sahara Yellow, Light Blue and Western Red. 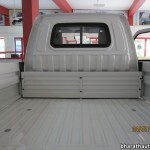 The Porter 600 is priced at Rs. 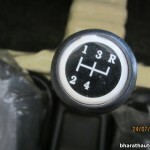 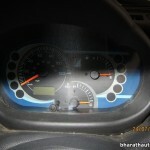 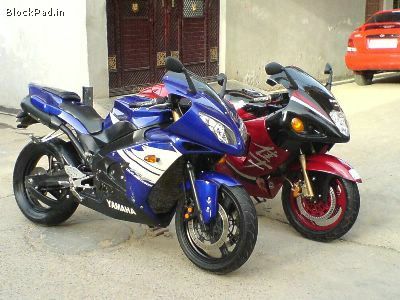 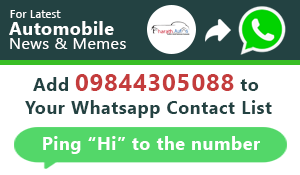 2.28 lakh (ex-showroom, Bangalore) and Rs. 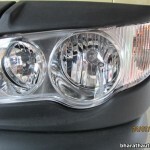 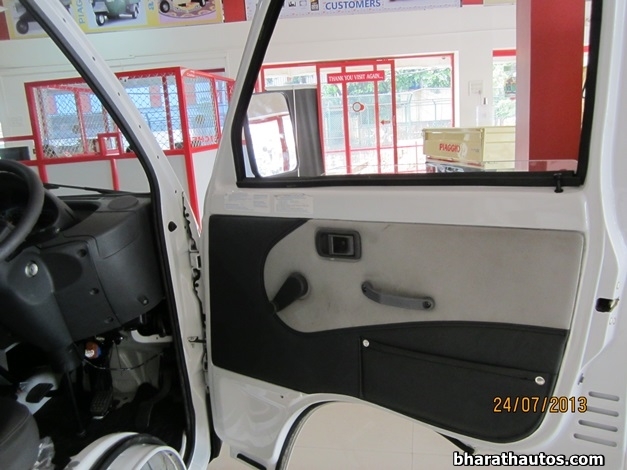 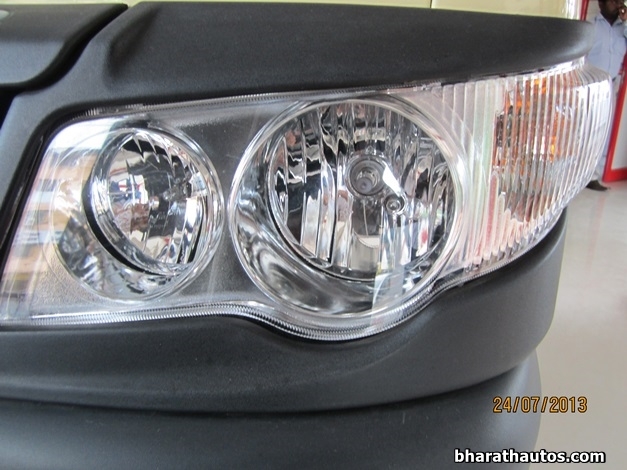 2.59 lakh (on-road price, Bangalore) and can also avail the discount at your nearest dealer. 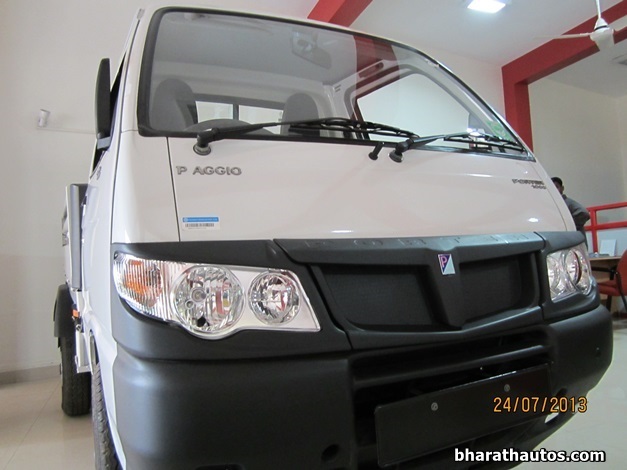 Apart from pick-up, Piaggio India is planning to launch the passenger version of Porter 600 in coming years to rival with Tata Magic Iris and Mahindra Gio. 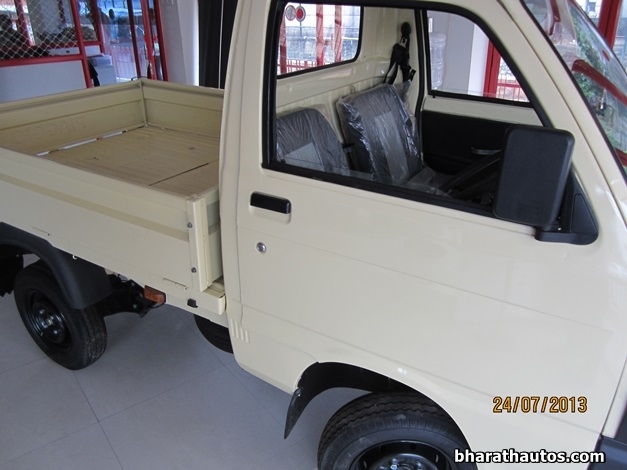 Coming to the Porter 1000, it is a replacement for the Ape Truk Plus and will take on the likes of the Tata Ace and the Mahindra Maxximo. 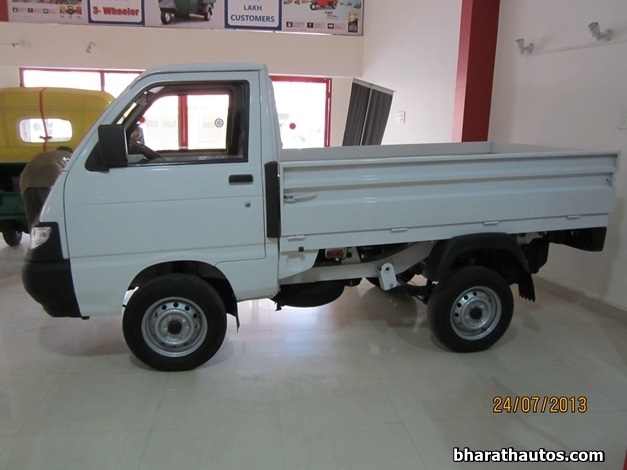 The first-gen Ape Truk in India launched on June-2007, had a payload capacity of 865kg, the second-model launched in June-2009 with ‘Plus’ moniker had a increased payload capacity of one-tonne (1,000 kg). 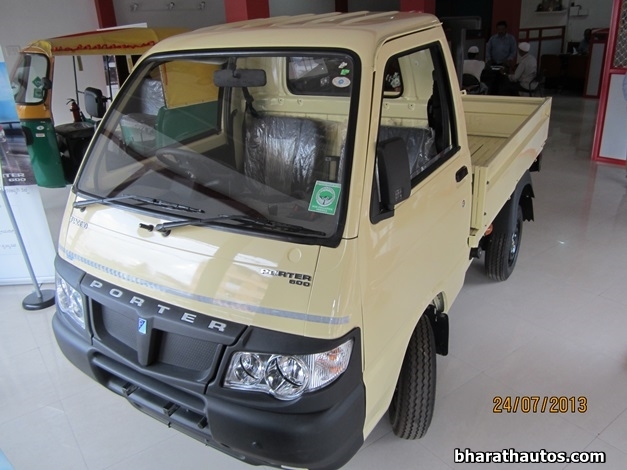 Now the company has just revised the same along with its younger Porter 600 sibling. 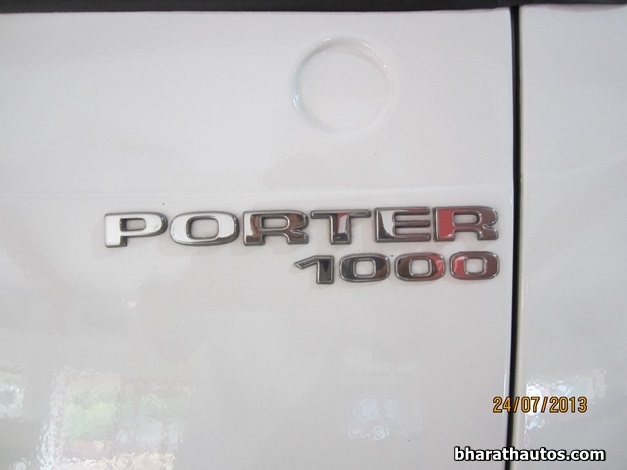 Under the skin, the Porter 1000 comes fitted with 1034cc twin-cylinder four-stroke diesel engine mated to 5-speed manual gearbox and touches a top speed of 70 Kmph. 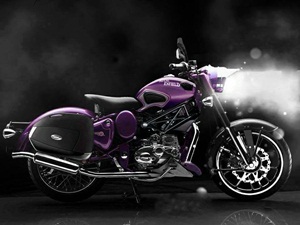 This engine outputs 19.5 Bhp of peak power and 60 Nm of peak torque. 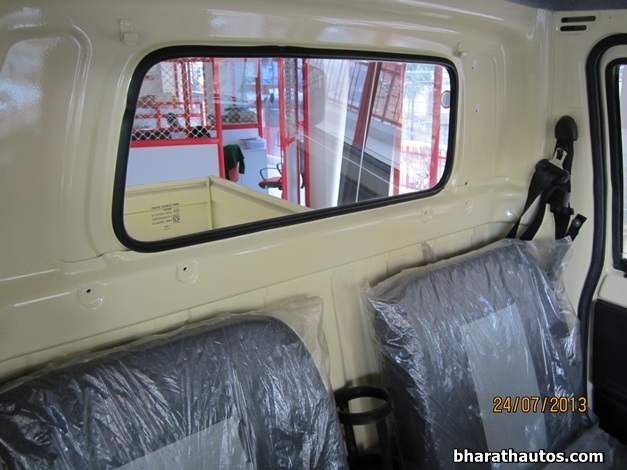 Unlike Porter 600, these features a disc brakes at front and drum brakes at rear. 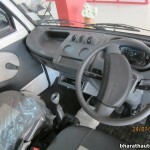 In Porter 100, a unique feature is the driver cabin, which offers the comfort and safety features of a car. 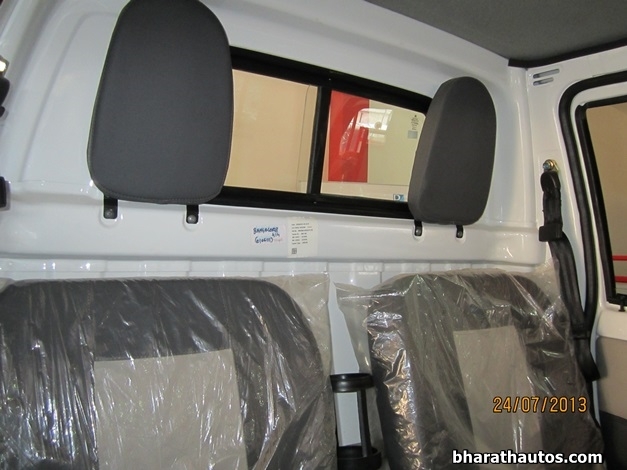 The total of 2 shades is available on Piaggio Porter 1000 – Bianco White and Crimson Orange. 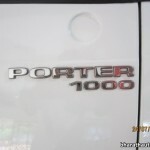 The Porter 1000 is priced at Rs. 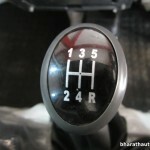 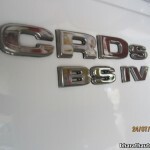 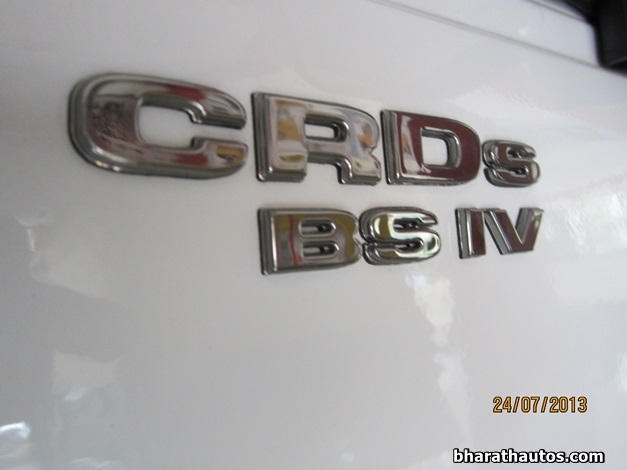 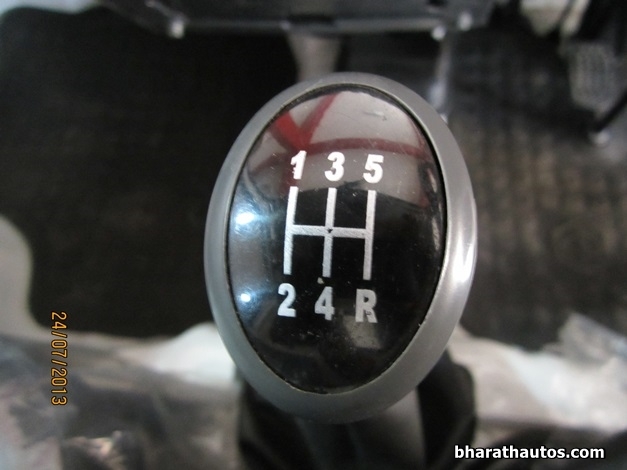 3.66 lakh (ex-showroom, Bangalore) and Rs. 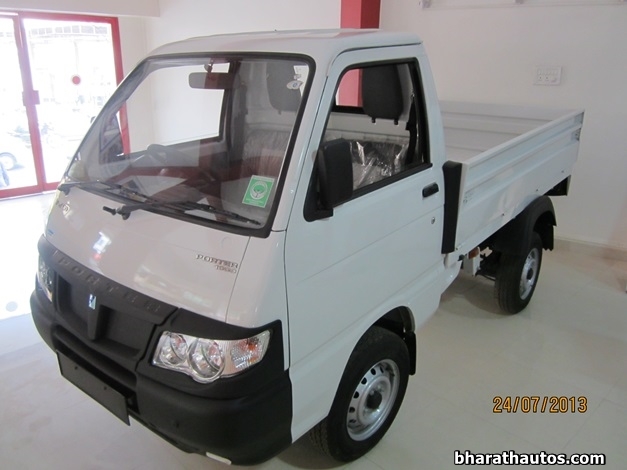 3.99 lakh (on-road price, Bangalore) and can also avail the discount at your nearest dealer. 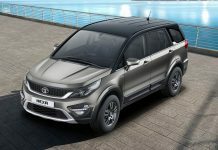 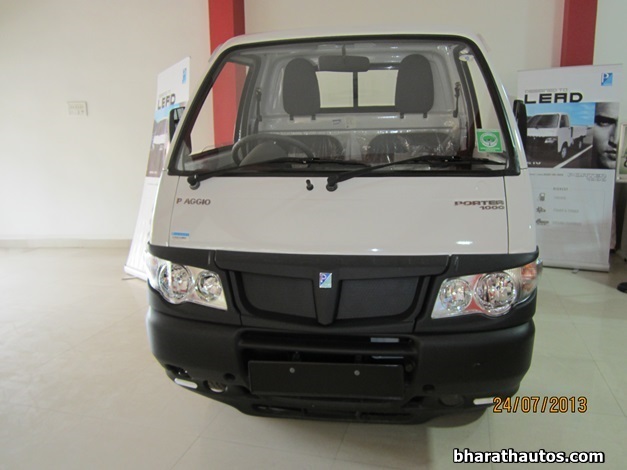 The passenger carrier version speculated to launch next-year, will rival the likes of the Tata Magic and the Mahindra Maxximo van, people movers that are a regular sight in semi-urban and rural parts of India. 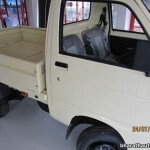 In Italy, the Porter series of mini pick-up trucks were first introduced two decades ago, when Piaggio joined hands with Japanese automaker Daihatsu. 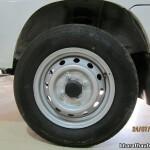 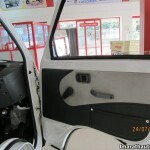 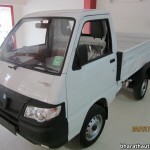 The Porter has been also sold in European markets, under the Daihatsu Hijet badge. 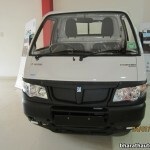 Ever since, the Porter platform has spawned a range of variants including a passenger van and a tipper truck. 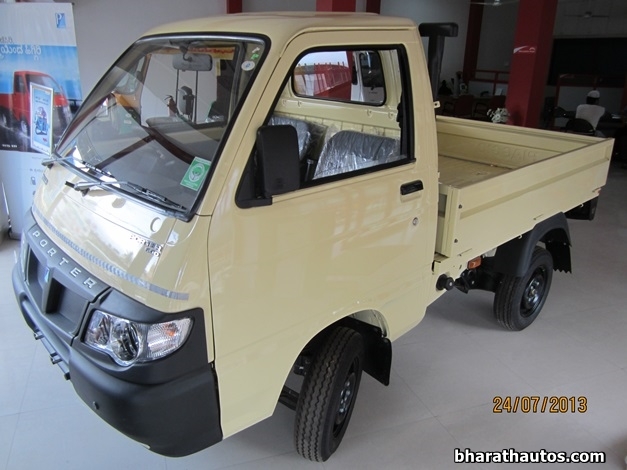 Petrol, diesel, CNG, LPG and Electric power options are available on the Porter series. 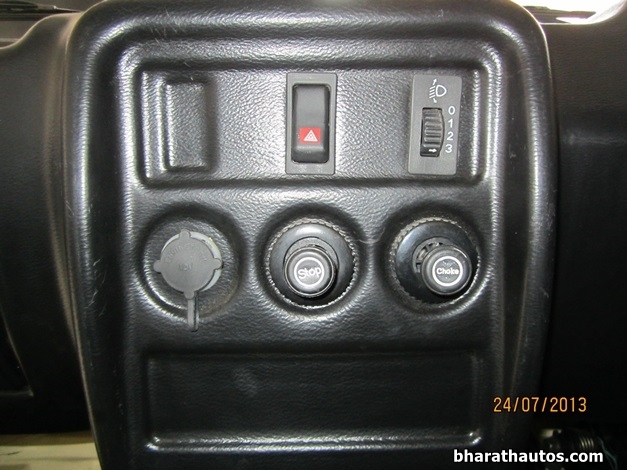 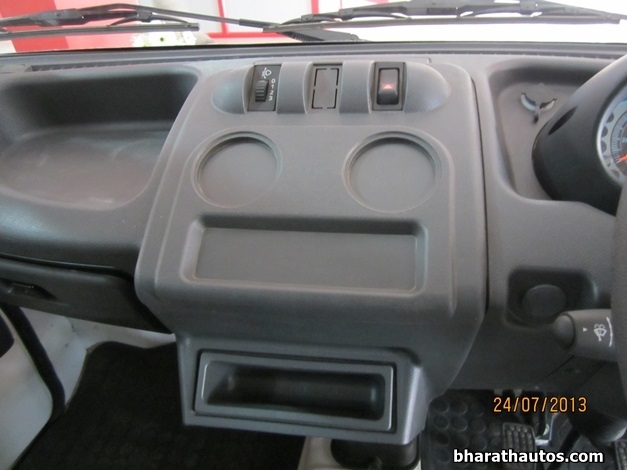 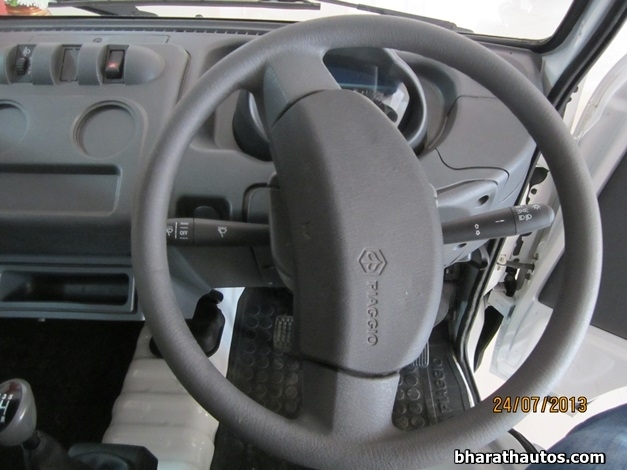 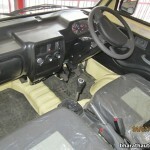 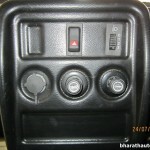 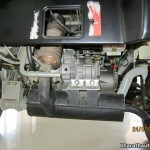 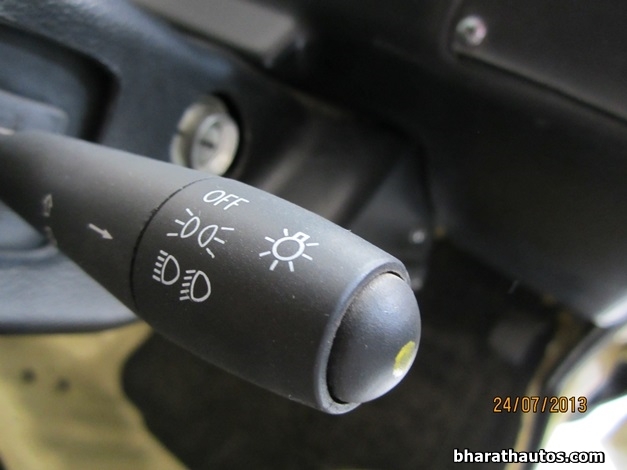 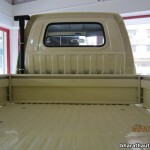 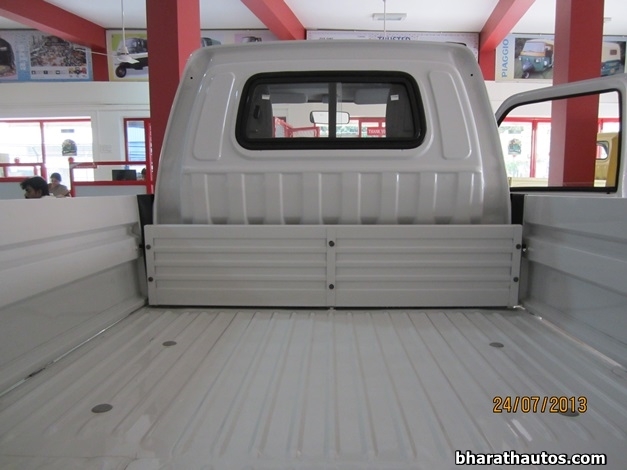 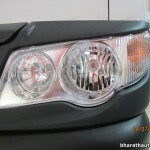 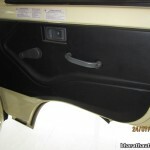 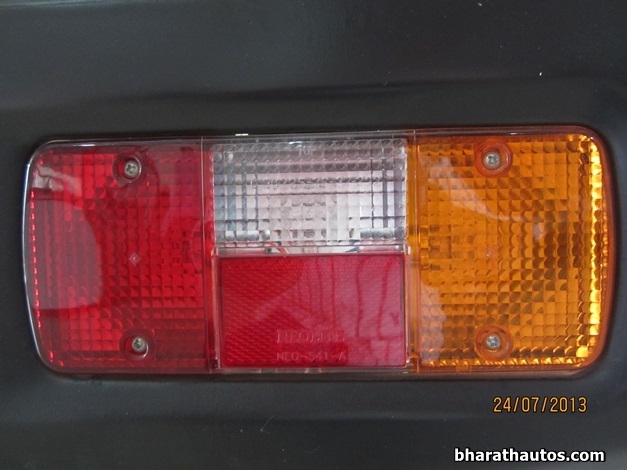 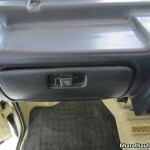 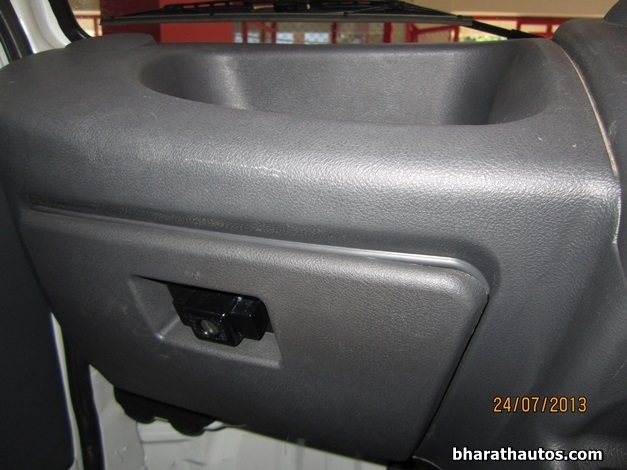 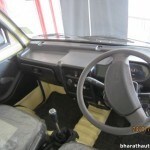 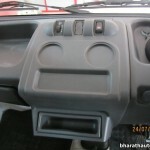 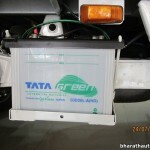 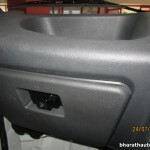 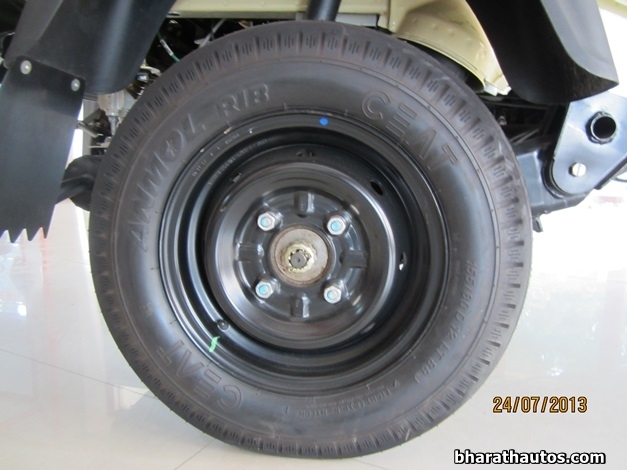 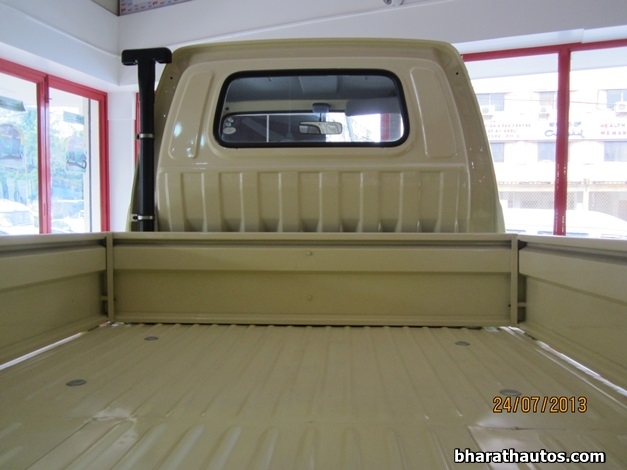 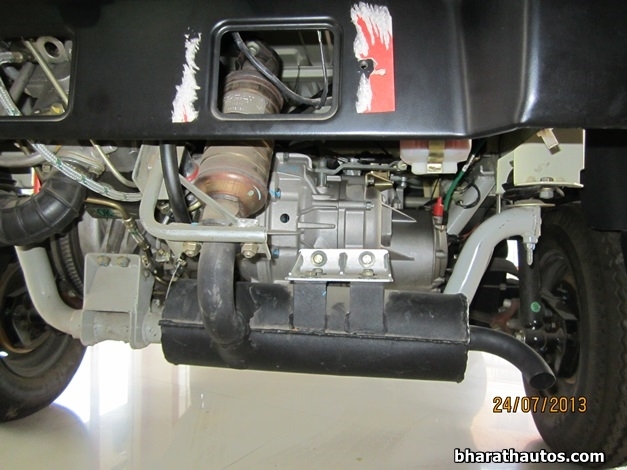 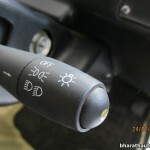 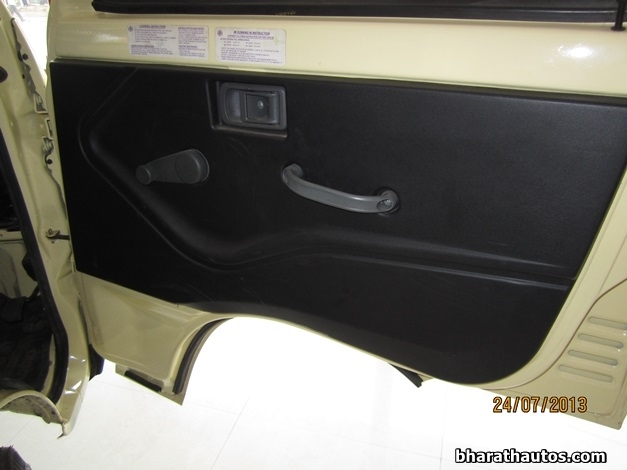 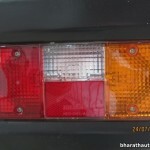 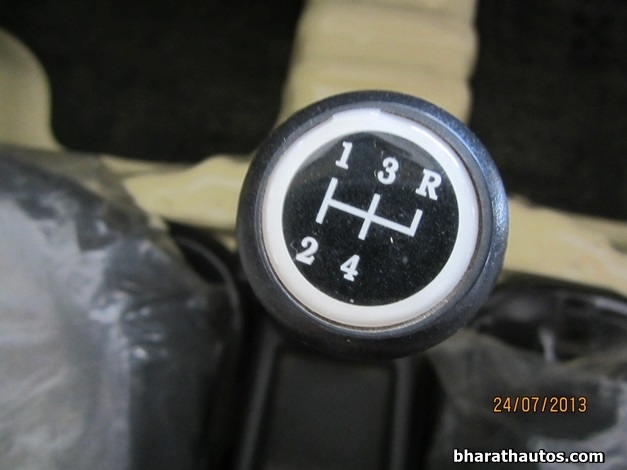 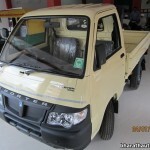 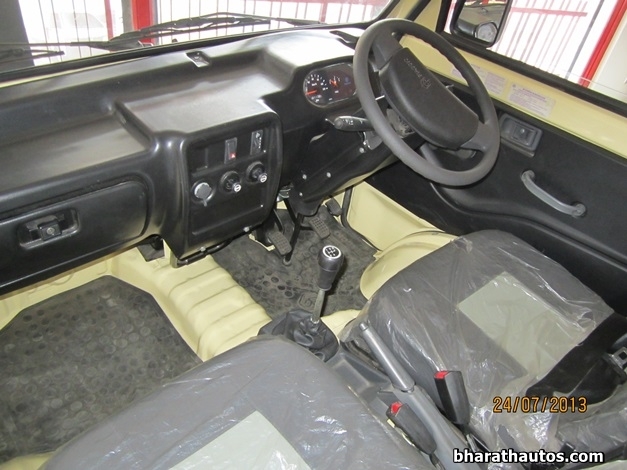 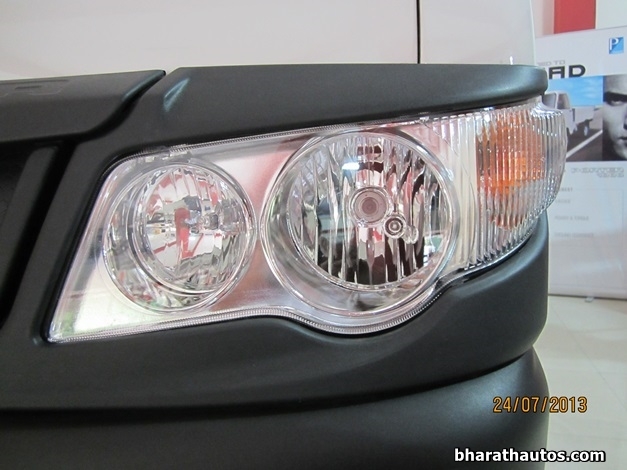 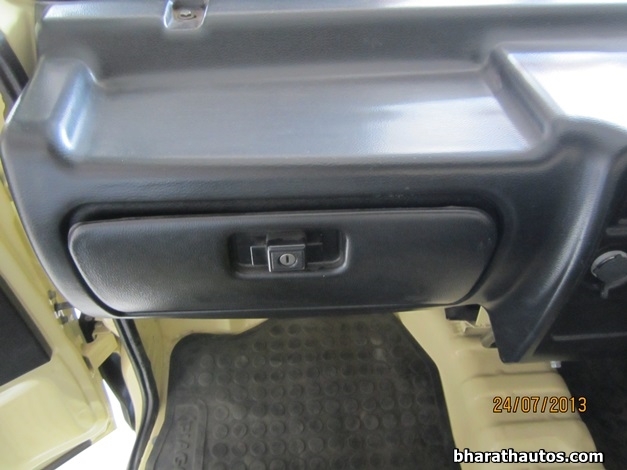 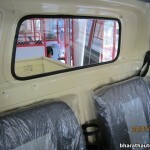 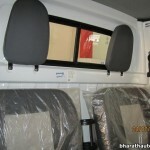 However, in India, the Porter series is only available with diesel engine pick-up truck option.